Bottom-side Peterborough saw off Barnsley to pick up their second Championship win in four days. George Boyd put Posh ahead after 75 seconds, pouncing when Shaun Brisley's header came back off the post. Tyrone Barnett made it 2-0 when he met Tommy Rowe's cross from the left with a powerful header. Craig Davies hit the bar for the Tykes but Rowe also slammed a volley against the woodwork as Peterborough went close to adding a third. Most of the action took place in a frantic first half that also saw Boyd bring a fine save from Barnsley keeper Ben Alnwick and Nathaniel Knight-Percival head inches wide for the visitors from a corner. As well as Davies' fierce 25-yard strike that rattled the crossbar, Tykes duo Stephen Dawson and Tomas Cywka were off target with shots from outside the area. The closest Barnsley came to pulling a goal back after the break was when Cywka's crisp shot was saved by Bobby Olejnik, who also kept out a Davies header before the end. Peterborough held on to follow up Saturday's surprise victory at Hull with another shock success on the road. Darren Ferguson's men, who lost their first seven games, remain at the foot of the table but are now only two points behind fourth-bottom Sheffield Wednesday. Barnsley boss Keith Hill: "We didn't deserve anything from this game. I thought Peterborough were excellent value for the points and I thought Boyd was outstanding. He is everything that I want from a player. "Our performance players didn't perform. I thought our effort deserved a goal but our performance tonight didn't deserve any points. "We never got the ball moving and we didn't have any urgency. Our players have got to remind themselves of how we got the results earlier in the season. Our passing is better than that we did tonight." 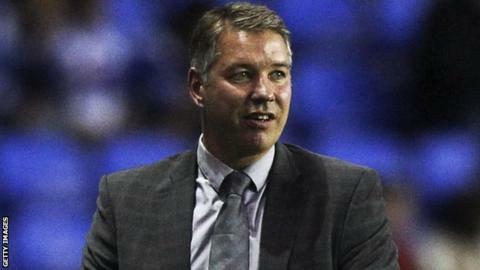 Peterborough manager Darren Ferguson: "It was a great start, Boyd scored early on and he could have got more. "He gives us energy. I left him out of the side earlier and that is probably what he wanted. "We have just beaten a good team in Barnsley. They had the majority of possession and we waited and attacked them on the counter-attack. "The effort put in tonight by the players was fantastic. Throughout the whole squad there's togetherness. The lads have come off the field exhausted. If I can get the commitment they won't have any complaints from me."